A staggering number of studies were actually paid by people who make chocolate. So if that can happen, and it happens a lot, who do we trust when it comes to health information? And is dark chocolate healthy for real? It’s not uncommon for growers and food producers to fund nutrition science research. In fact, it’s a pretty ubiquitous occurrence. Everybody does it. So many new studies come out claiming that some food or other is going to cure cancer and save the world. A lot of studies contradict each other, and we don’t know anymore if red wine might cure cancer or ruin our collective skin for good. Or worse! Not to mention that in order to get funding, sometimes scientists have to present a much more clean-cut conclusion than their study has shown. This ‘Last Week Tonight with John Oliver’ explains wonderfully how the system works. But sometimes, the paying for studies takes a strange, negative turn. For instance, we know that the sugar industry has done its fair share of influencing the public opinion and turning fat into more of a villain than it ever was. That’s why it’s not shocking that Vox.com analyzed about 100 studies paid for by the Mars company and found that most of them drew overwhelmingly good conclusions about the health benefits of cocoa and chocolate. 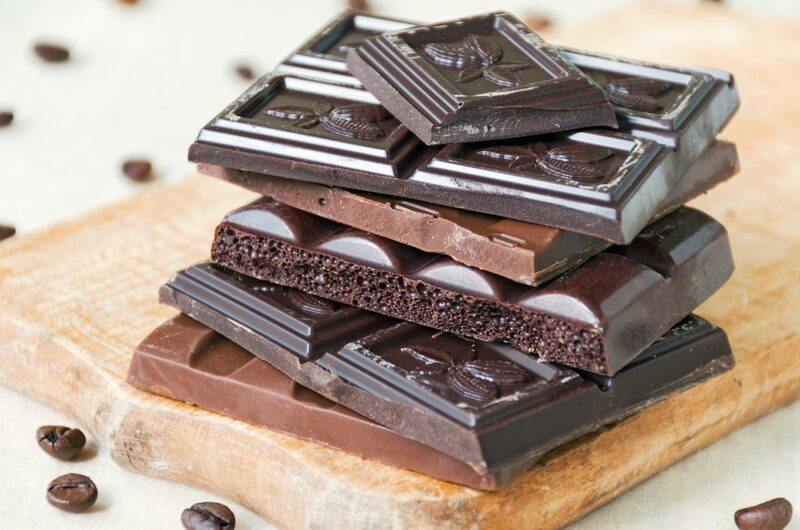 From the heart health benefits to the antioxidants that help fight all kinds of diseases, dark chocolate has been treated as heavenly food, because it’s a dessert that is said to also be very healthy. But the fact is that all of this research paid for by other food companies like Hershey’s and Nestle, over the past three decades, has managed to change the public perception on chocolate. And a lot of people have been changing their eating habits. Because, of course, it’s not enough to have the cheapest dark chocolate on the market; you should pick the best brand to get the dark chocolate healthy benefits. Vox cites the example of a luxury cocoa startup that put an avocado chocolate bar on the market. And that bar was promoted and covered in the media as health food, even though it had 600 calories and 43 grams of fat per serving – not that different from your garden-variety chocolate. It had more calories and fat, but just a little bit less sugar. But because it came on the heels of the hailing of avocado as a superfood and the three decades and millions of dollars invested by chocolate makers, that bar had everybody talking about it. Lately, people have been buying more expensive chocolate, to get more health benefits. And business has been booming. The sales of chocolate in the US have gone up from $14.2 billion in 2007 to $18.9 billion in 2017. And that’s happening even though people are trying to consume less sugar. So even if dark chocolate has flavanols in it, that doesn’t mean that the compounds have long-term benefits for your body. Especially since you’re having them with a lot of sugar and fat!